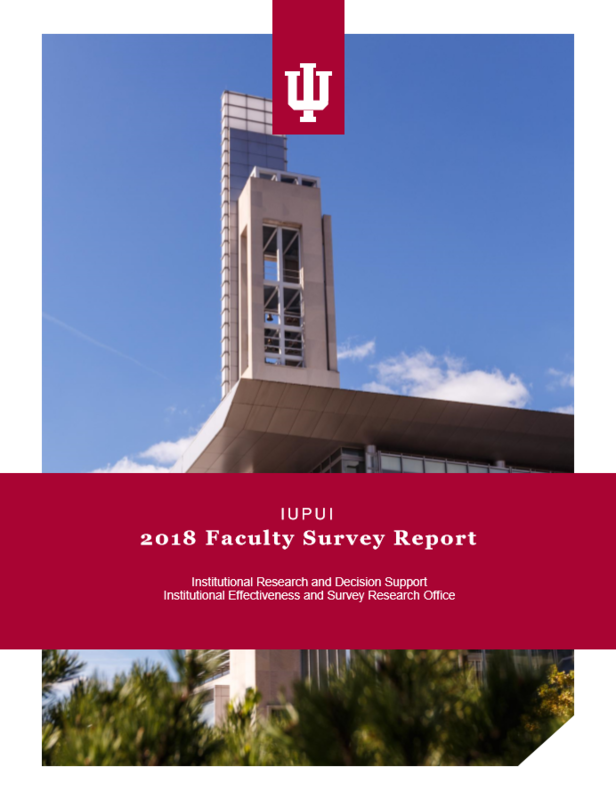 IRDS provides accurate, timely, and actionable information to support decision making at IUPUI and ensures optimal learning and testing environments. 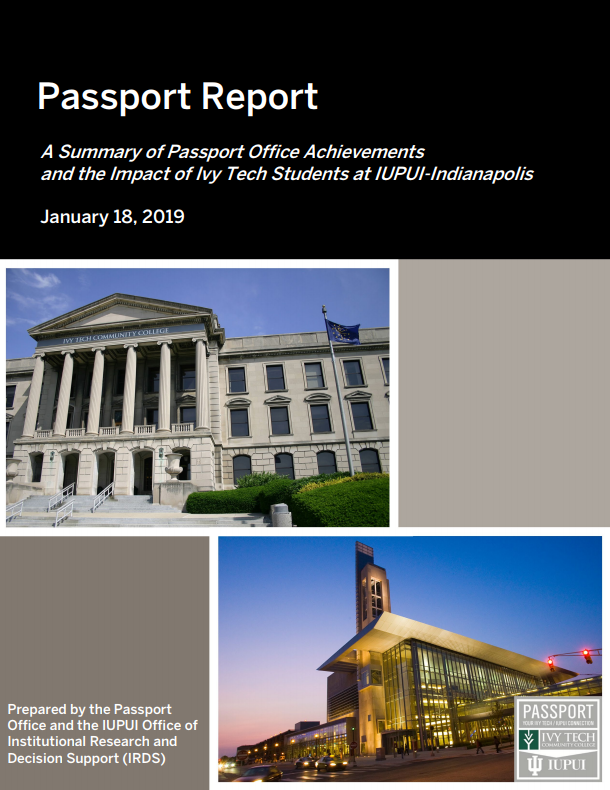 29,610There are 29,610 students enrolled at IUPUI, including 27,722 at the Indianapolis campus, 1,454 at IUPUC, and 434 at IU Ft. Wayne. 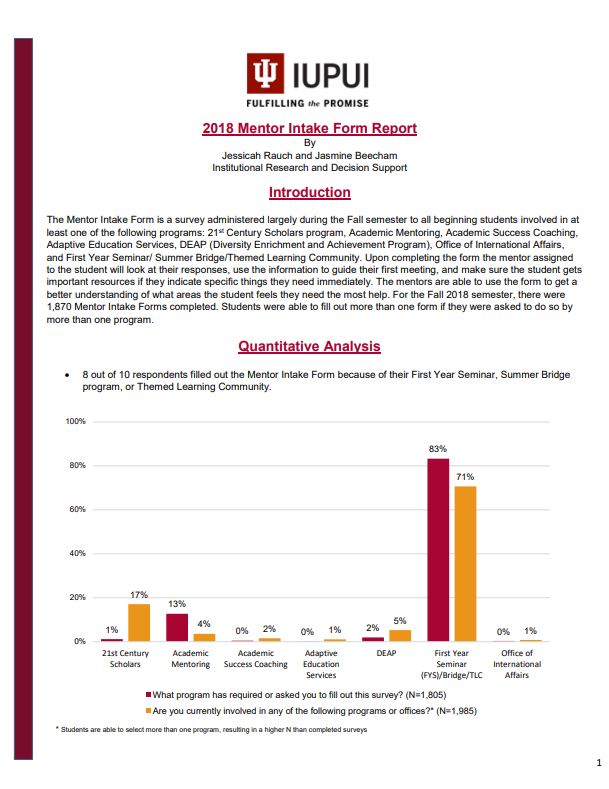 61%of full-time undergraduate students are attempting 15 credit hours or more in Fall 2018. 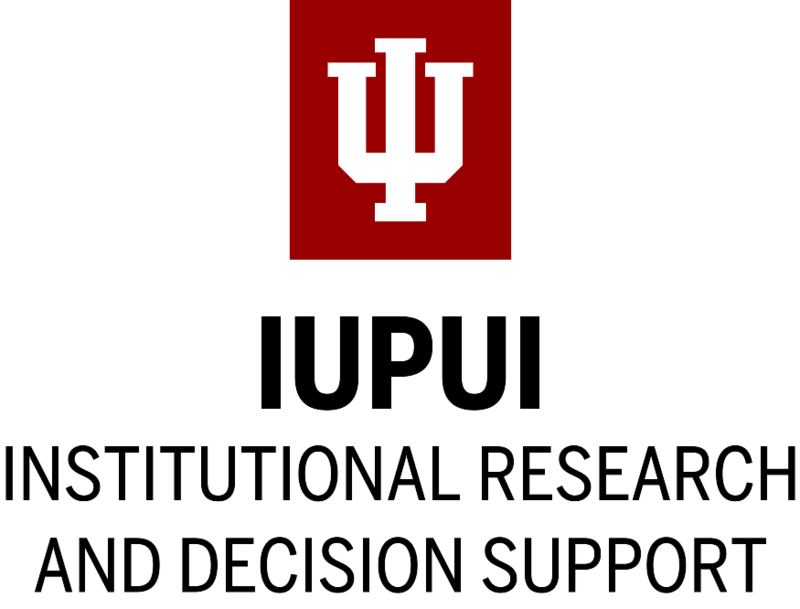 2,612IUPUI has more African American students than any other university in Indiana. 7,000More than 7,000 degrees and certificates were conferred last year, including 3,880 Bachelor’s degree, 1,572 Masters’ degrees, and 812 Doctorates. 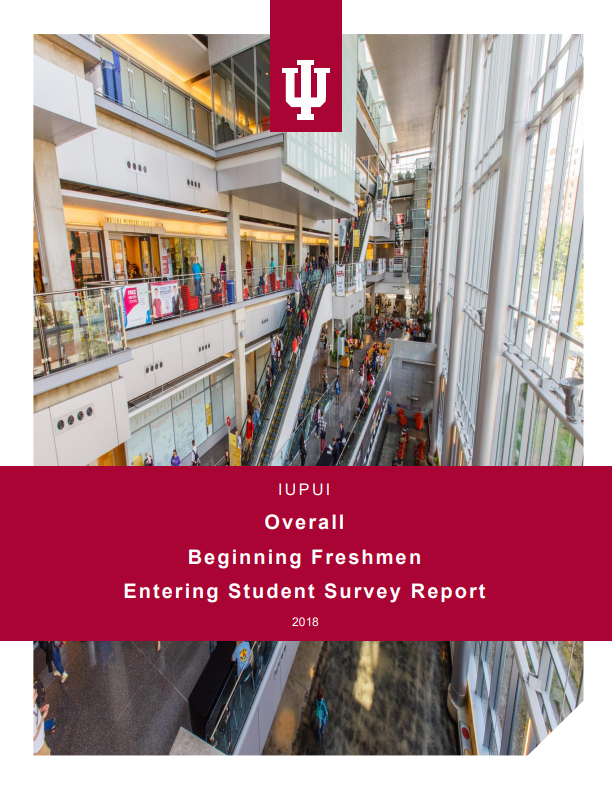 94%of 2018 Fall Beginners feel the IUPUI community has made them feel welcomed. 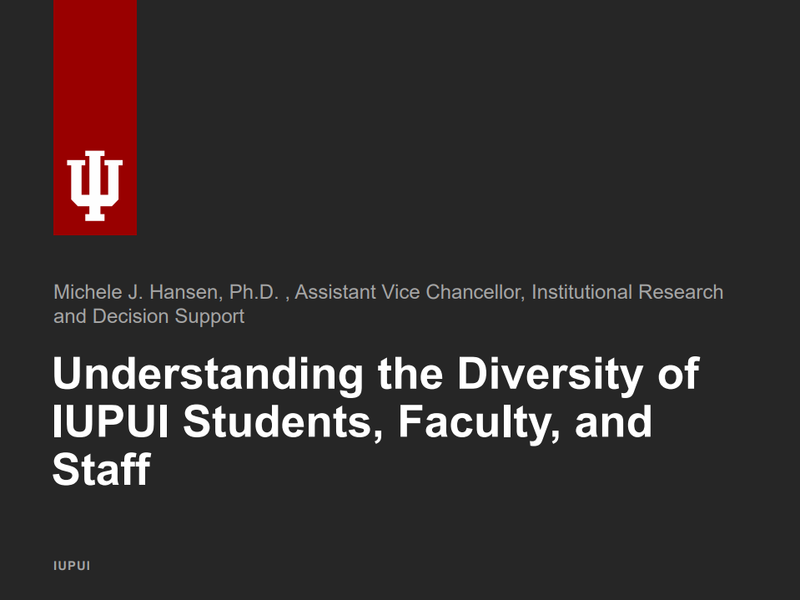 1,300IUPUI has more than 1,300 tenured and tenure-track faculty.